Your guide to Club Penguin Missions on Club Penguin! I can't believe it's been three weeks since our first field op! I have a lot of Feild Op medals... hopefully i can get the EPF uniform! Anyway there's a new field op today. Go to the EPF Command Room to get started. Then click on the yellow board. 1. G will tell you that an old spyphone has been found large lightbulb and to destroy it ASAP! 3. Go into the mine caves room 1. 6. Play the mini-game. This is the same mini-game as the first Feild op. Destroy the circits by clicking on the same shape. 7. You have now completed EPF: Mini-Mission 3! You get another medal to earn different EPF uniforms! This week I got the Alpha! It's so cool! I wonder how long it'll take before we all get both uniforms... and will they add some new items to the catalog? u stink this does not work! You will not post any personal information in your comments. address, email, Facebook account, etc. Profanity or vulgar language is not allowed and will be removed. 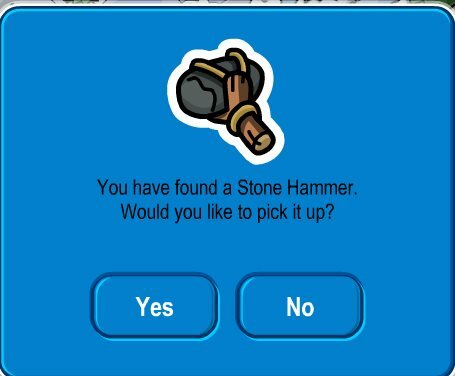 New Club Penguin Hammer Pin Cheat posted! 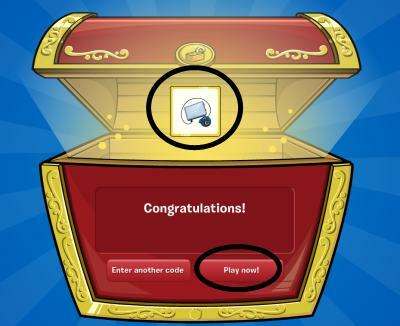 New Club Penguin Code Cheat posted! We've found the oh-so-hard-to-find Card-Jitsu Golden Card in the packs of cards Topps sent us!! Check out our exclusive pictures and get the scoop on a new Club Penguin Code giveaway! The First Ever EPF Downloadable Mission for Nintendo DS: Puffle Pranksters is now available for your viewing pleasure! Take a look at this all new, completely cool CP mission! My Stories and Adventures: Rainbow puffles take over Cp? Whats New In June! New Party!! Copyright 2009-2013 Club Penguin Land. All rights reserved. Club Penguin Land is not in any way affiliated with Club Penguin, a Disney owned company and the registered owner of Club Penguin.